German rabbi; lived in the seventeenth and eighteenth centuries. Helin was on his father's side a great-grandson of Solomon Luria, and was chief rabbi of Warta (Poland) and Glogau. 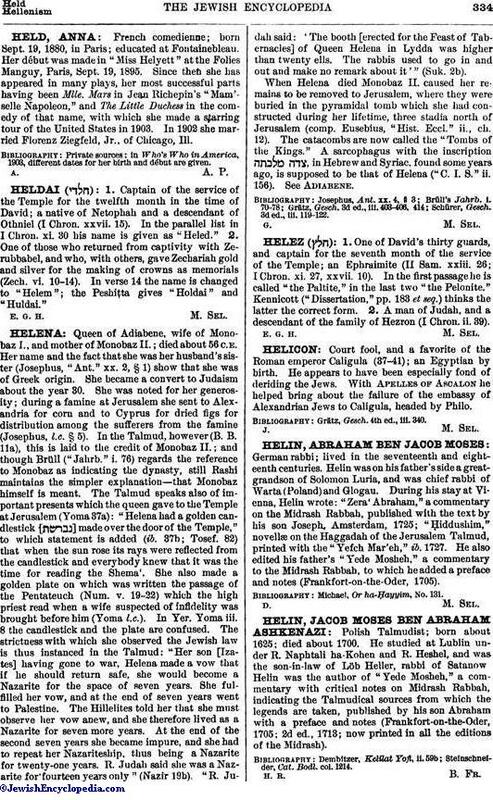 During his stay at Vienna, Helin wrote: "Zera' Abraham," a commentary on the Midrash Rabbah, published with the text by his son Joseph, Amsterdam, 1725; "Ḥiddushim," novellæ on the Haggadah of the Jerusalem Talmud, printed with the "Yefch Mar'eh," ib. 1727. He also edited his father's "Yede Mosheh," a commentary to the Midrash Rabbah, to which he added a preface and notes (Frankfort-on-the-Oder, 1705). Michael, Or ha-Ḥayyim, No. 131.